The Fisher and Son Bathrooms website has a modern traditional feel and the calm colours compliment the high quality bathroom installations perfectly. The customer testimonials received by Fisher and Son are exceptional, as are the example bathroom installations displayed in the website gallery. Dynamic content is provided by use of changing images on key pages providing inspiration and ideas for dreamy bathrooms. 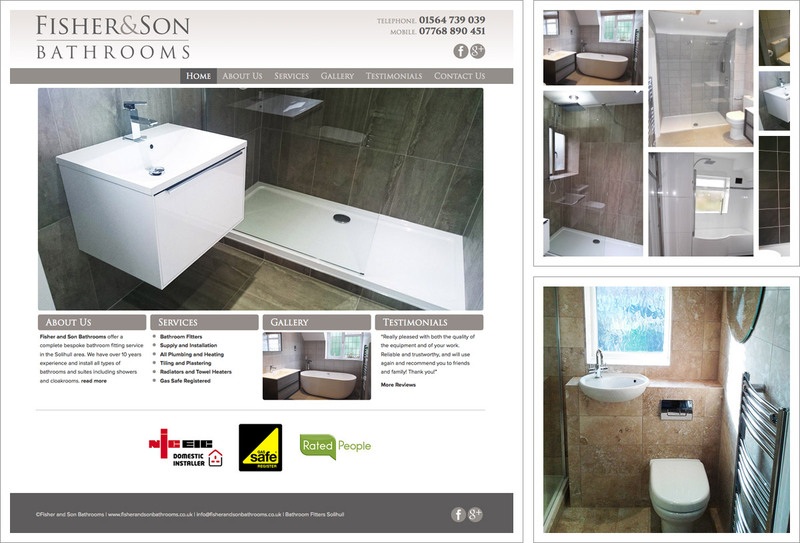 Links to the Fisher and Son Bathrooms Facebook page we created have been integrated and the Facebook Business Page has been styled to match in with the website branding. The website has been designed so that it is responsive / mobile friendly which means it will detect which type of device is being used and display itself accordingly. The website will look great on desktop PCs, mobile phones and tablets.